Are you one of those fans that spend the entire football match telling your team what to do from your sofa? Well know you will have to prove that what you shout at the TV could really work on a pitch. 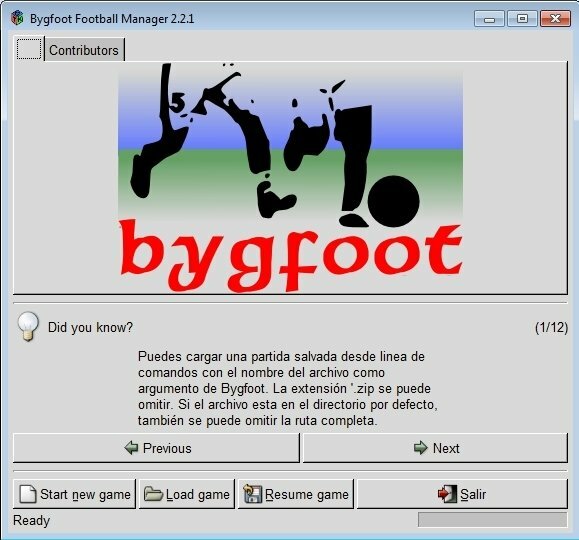 Bygfoot is a football manager that has been developed based on the requests and suggestions of users from all over the world. Once you install Bygfoot you will be able to manage a team from on of the leagues that have been created, to take it to the top level training its players, without leaving aside the fact that you have to carry on signing and selling players, balancing the accounts so you don't go bankrupt, maintaining your stadium or scouting lower division teams. Obviously, if your team plays very badly you may end up being relegated. 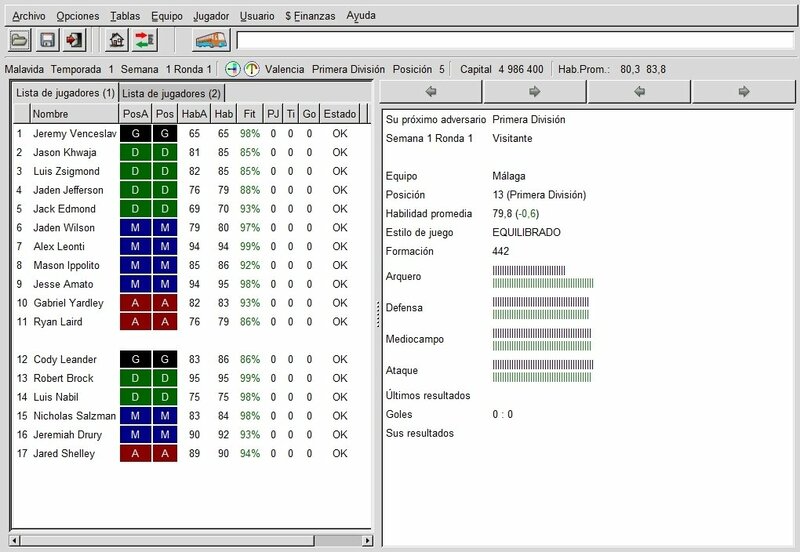 Manage teams from more than twenty five different leagues. Keep the accounts of your club. Scout young players and promote them so that they can perform in your team. Follow the matches by means of live written commentaries and decide on tactics and line-ups in real time. Unfortunately, since it,s a free game, it is impossible for the developers to offer leagues with the official licenses, therefore, the names of the players, clubs and stadiums are not real. This increases the game's difficulty, as we can't sign any renowned players, so we will have to look more at the playing characteristics. Nevertheless, this aspect makes it more entertaining, having to prove your real skills in football management. Download Bygfoot and become the most successful manager.